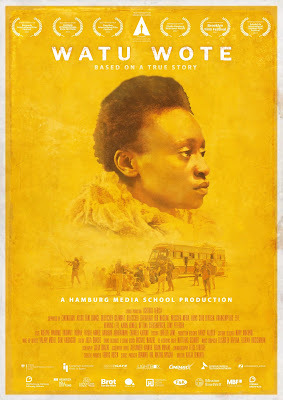 This Oscar short listed short film tells the story of a Christian woman traveling through Kenya by bus. When the bus is stopped by Islamic militants wanting to kill the Christians the Muslim passengers protect them. This moving short is a wonderful reminder that there are still good people in the world. Nicely recreating the 2015 attack the film doesn't waste a moment, telling us everything we need to know in with an economy of style that proves less is more. As you watch the film you realize that the small scale recounting is best for this story since it remains laser focused. I have no doubt that had Hollywood made this film it would have been a painfully over long recreation of a several minute event. This is a stunning little gem and very recommended.